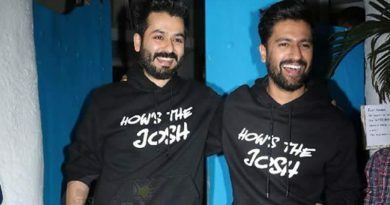 Mundan Sanskar Or Chadakarana Ritual! 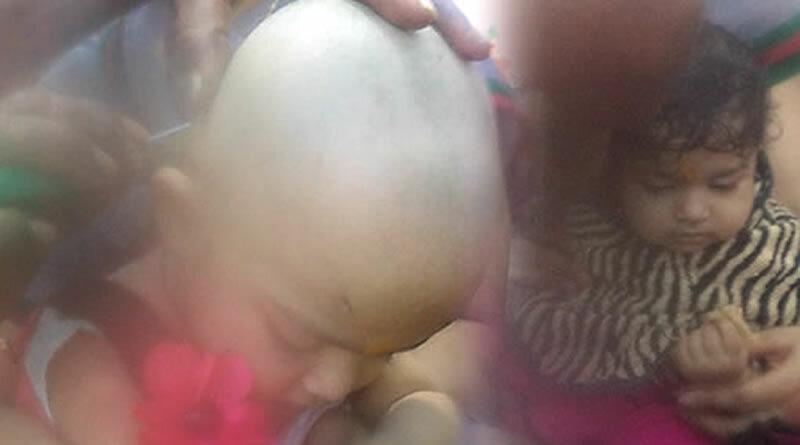 The next significant ceremony after Annaprasana (baby’s first feeding) in a Hindu child’s life is the Mundan Sanskar or Chadakarana ritual when the baby has his first hair cut. The Mundan ceremony can be done in the 1st year, 3rd year or 5th year of age but it is normally done before the completion of three years of age of the boy. Generally, Mundan Ritual as a ceremony is recommended only boy babies but today with the changing times, it has become a practice to have the ceremony done for girl child too. Mundan or Chadakarana is an essential ritual for traditional and religious requirements as well as for medicinal benefits. A proper Mundan Ritual involves three rituals of about an hour duration the boy’s parents do a Ganesh puja (worship of the Hindu God Ganapati or Ganesh); a barber who shaves the child receives some honour; and a Havan; (a purifying ceremony with a fire ceremony) with devotional prayers known as the Ayushya Homa mantra and Aarti accomplishes the ceremony. This is followed by a feast and the giving of presents which form the social feature of the Mundan as a Sanskar. Shaving the head is termed as Ayushkarma; in Sanskrit, It means increasing the longevity or the life span of the child. The child’s hair at the time of birth is not strong and the Mundan ceremony guarantees that hair roots are strengthened and strong hair is formed. The shaved head received Vitamin D from exposure to sun and this has its own therapeutic benefits. Little hair is left at the back known as Shikha, this is supposed to guard that part of the brain which helps in memory. The Shikha is also supposed to denote the place where, for a religious person, the soul leaves the body at the time of death. In North India, the Mundan or Chadakarana Ritual is done generally at one of the Goddess Durga’s temples in the hills. In South India people usually visit Lord Balaji’s temple at Tirupati for Mundan or Lord Murugan’s temple at Palani to conduct the ceremony. Overall, Mundan or Chadakarana is an essential ritual for traditional and religious requirements as well as for medicinal benefits. ← Annaprasana Or Annaprasanam Ritual! 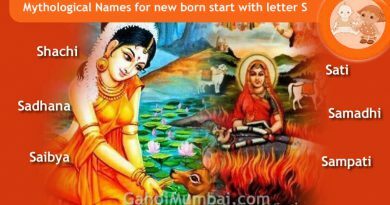 Mythological Legendary Names for new born start with letter S! 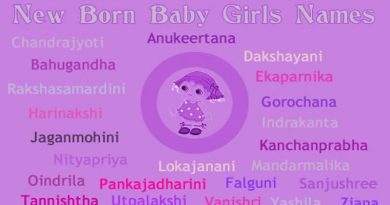 Indian Baby Girl Names Or Hindu Girl Baby Names Start With Letter L! Apart from being a family ritual, the mundan ceremony also has scientific reasons behind it. It is said that Mundan ceremony helps in better hair growth, helps the baby’s head stay calm in summers and helps get rid of common head problems.